The project debuted at No. 7 on the Billboard 200 in April with opening week sales of 43,000 copies. Mastodon recorded the set last year with producer Brendan O’Brien at the Quarry in Kennesaw, GA. 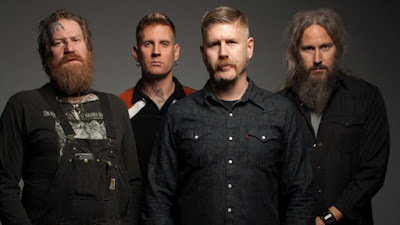 The Atlanta rockers will launch a series of fall dates across North America next month with Eagles Of Death Metal and Russian Circles. The trek will include a benefit concert at The Metro in Chicago, IL on September 9 in honor of suicide prevention month. 100% of the proceeds from the event will support suicide prevention and mental health education.